1. Q: What is the RM5 Google Play promotion about? 2. Q: Is the promotion for all ookyo subscribers? 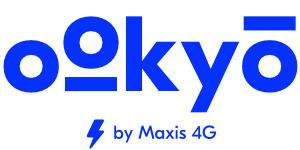 A: The promo is for all ookyo subscribers but only applies for their 1st time purchase in Google Play Store via Maxis/Hotlink/Ookyo billing. If you have previously made a purchase in Google Play Store via Maxis/Hotlink/Ookyo billing, you will not be eligible for the promo. 3. Q: Does this mean if I purchase an item that costs RM5 I will get it for free? A: Yes, you will be charged RM0 i.e. Free if purchase costs less than or equals to RM5. 4. Q: What if the item I wish to purchase costs more than RM5? 5. Q: Why can’t I complete my 1st time Google Play purchase? Google Play Item purchased = RM10. 6. Q: What If the in-app or app purchase itself costs less than RM5? A: If the item costs less than RM5, it’s 100% free. 7. Q: Why doesn’t Google Play Store show me the discounted price when making a purchase? A: The promo is only applicable for Maxis/Hotlink/Ookyo billing purchases for Google Play Store items. The discount will only be reflected upon purchase of the item. Ensure that you select "Bill my Maxis/Hotlink/Ookyo account". You will see the discounted amount charged in your confirmation SMS. 8. Q: Am I eligible for the RM5 promo if I have made a purchase on Google Play before? A: Unfortunately you won’t be able to enjoy the promo but you can still purchase your normal Google Play items. 9. Q: What is the minimum purchase to enjoy the RM5 promotion on Google Play? A: No minimum purchase required. 10. Q: What is the promo period start and end date? A: The promo commences at 01-June-2018 (00.00am) and ends at 31-July-2018 (23.59pm). 11. Q: How many times can I enjoy the RM5 promotion? 12. Q: I have made a purchase on Google Play with my credit/debit card before. Do I still qualify? A: Yes, the promo is for users, who are making a Google Play purchase via Maxis/Hotlink/Ookyo billing for the 1st time. 13. Q: What games, apps and in-app purchases are covered by the RM5 promotion? A: All games, apps and in-app purchases are covered by the promotion. 14. Q: If the games, apps and in-app items I wish to purchase are covered by other discounts or offers will I be able to enjoy all off them? A: You will get to enjoy all of it. All discounts are stackable. However, Maxis ,Hotlink & Ookyo will not be liable for non-fulfilled discounts from third parties. Maxis, Hotlink & Ookyo only offers RM5 rebate for 1st time purchases made via Maxis/Hotlink/Ookyo billing which are charged to your Hotlink / Ookyo credit or your Maxis bill. 15. Q: I purchased an in-app item that cost less than RM5 and did not realize the unused difference cannot be carried forward, is there any way I can get it back? A: No, you are unable to do so. However the purchase you made is 100% FREE.